Betting on golf requires deep pockets! There are so many golfers in each tournament that it’s difficult to find the winner, though when you do it’s usually at a big price. Long losing runs are par for the course (sorry!) and you definitely need deep pockets to keep going… and going… until someone you’ve backed manages to win. Imagine putting £10 on and losing, then another £10 and losing, then another… and another. How long do you keep the faith? 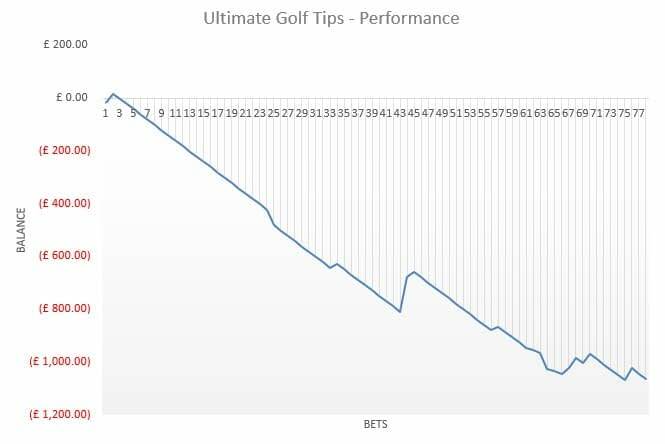 I have been following the Ultimate Golf Tips service for less than two months and I have already bust my £1,000 betting bank using stakes of £10 per point! The fact that the starting bank is now recommended at 125 points on the Ultimate Golf Tips website doesn’t really make much difference to the result of this trial, as I still would have lost a huge amount at this stage. As you can see by my profit graph below, it’s been a downward decline all the way. Here are my stats for this month followed by results for the whole trial. 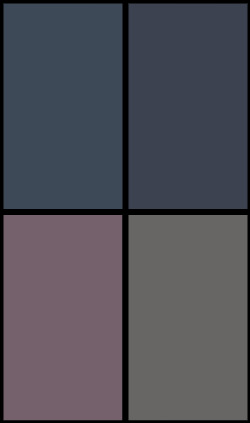 You can view my full results log here. I’m not going to completely give up on golf betting as I’m sure that it could be quite lucrative with careful staking. There could be a massive winning bet around the corner but the problem is, how long do you keep going for and how much money are you willing to lose chasing that win? This service is far too turbulent for me, so I will be adding it to the failed list. If you’re able to stand the losing runs, click here to find out more about Ultimate Golf Tips. I wasn’t expecting an easy ride in my trial of Ultimate Golf Tips, but I wasn’t quite prepared for this! 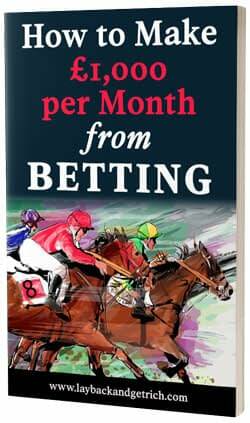 In my first month following this service I have lost 67.9% of my bank – that’s £679.10 to £10 stakes. From the 44 tips there were 2 places and 1 winning 2 ball bets, so it was a pretty poor performance overall. On a positive note, the month did end on a high with 100/1 Xander Schauffle placing in the BMW Championship for a profit of £130. I did notice that the recommended minimum starting bank has now been upped to 125 points instead of 100 points. I will have to stick with what was advised when I started the trial though and besides, I would still have lost more than half of my bank. 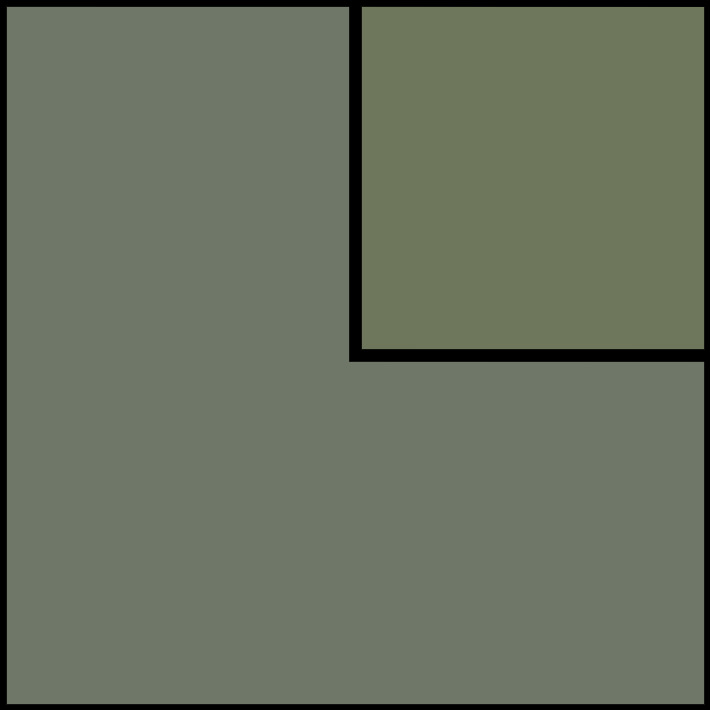 You can view my results log for month one here. I am hoping for better results in my next update or it could be an early finish for this trial. I will be back next month with my next update, but in the meantime find out more about Ultimate Golf Tips here. 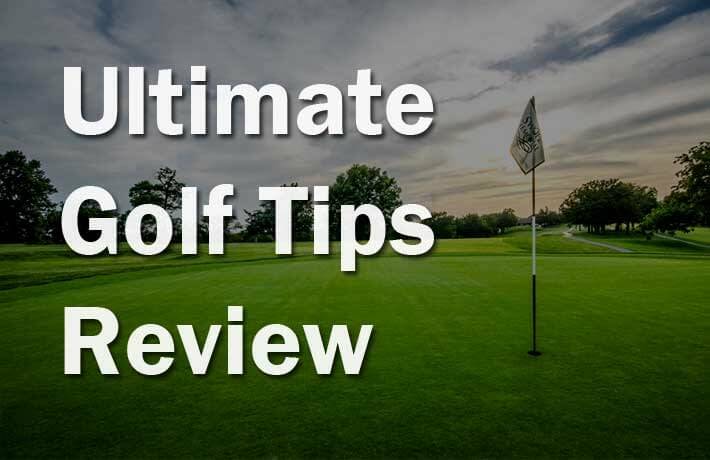 Ultimate Golf Tips is one of the new kids on the block over at Tipsters Empire. However, the tipster is certainly not new to the golf scene. He’s been involved in golf betting for nearly three decades and has worked with several bookmakers in the past compiling odds. …it’s always good to have someone in the know on hand, right? Since the service started in April, he has built up a profit of £1,607.13 to £10 stakes at a mouth-watering return of 60%. He has hit some huge winners already with the biggest being Thorbjorn Olesen tipped to win the Italian Open at 90/1. Now I know golf betting isn’t for everyone, as not all of us can handle the extreme ups and downs that go with betting at these sort of astronomical odds. But… I am willing to give it a try as this guy really seems to know his stuff. There’s a write-up with every tip, analysis of the courses and a weekly review of the bets, so this isn’t just your bog standard tips service. My only concern is that the advised starting bank is set at a minimum of 100 points and I can see that the bank took a hit of more than 50% a few months ago during a losing period. I suppose the key word here is “minimum”, but I will be going with 100 points as that is what they have used in their own results. Well I’m strapped in and ready to go, I just hope it’s not too much of a rocky ride! My first update will be the beginning of September but, in the meantime, find out more about Ultimate Golf Tips here.